How much do I love this 39th Telluride Film Festival poster by Dave Eggers? Oh so much. How could I not be obsessed? I head to the beautiful mountain state in just about a week for the first time since I moved to Arkansas in October 2010. Also, it’s my first vacation longer than four days since then, so needless to say, I am ready for a temporary change of pace. 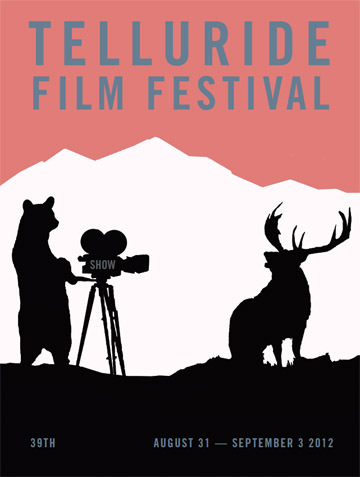 The whole trip was planned around attending the Telluride Film Festival during Labor Day weekend. I had a taste of the event a few years back but didn’t get to attend any movies. After my parents sat in front of director Michael Hazanavicius at the Telluride screening of his film, “The Artist,” I knew I couldn’t miss 2012’s fest. My mom also waved at George Clooney — who she says waved back — and she and my dad ate dinner in the same room as Tilda Swinton. Neither the attendees nor films are announced until days before, so I’m looking forward to being surprised, rubbing elbows with industry greats (if I’m so lucky) and seeing what I expect will be fabulous cinematic gems. Don’t even think about robbing my apartment while I’m away, folks. The roommate is still around and she’s good at beating off intruders (by sleep-talking them away). She’s fierce. Like the University of Colorado fight song, which I grew up singing at women’s basketball games (because I didn’t attend the school in the end). Wally, aka Gotye, emailed to his fans this video compilation he put together. It mixes some of the best YouTube covers of his smash hit, “Somebody That I Used To Know.” I was very happy to see Pentatonix, an absolutely amazing a capella group, get some generous screen time. There’s also a smooth sax, Ingrid Michaelson and a choir in formalwear. Note to my dear readers: It is time I took a little hiatus, what with vacation and my twice-a-year teaching gig fast approaching. I will not post Picks of the Week for the next four weeks. I’ll miss all y’all’s comments! There will be one final I Quit Sugar post Sunday. Don’t forget, it’s a giveaway. Bust over to last week’s post and comment for a chance to win Sarah Wilson’s e-book. You can read it on your computer, e-reader, tablet, laptop hooked to your TV, whatever! 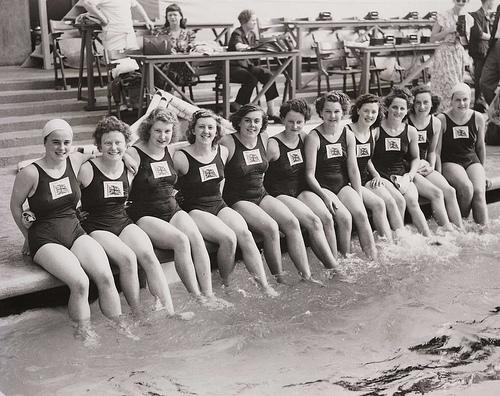 … and this photograph of the British Women’s Olympic swimming team, shown the day before the official opening of the Olympic Games in 1948! This was the first time the Games were held since Berlin hosted in 1936, as they were canceled because of World War II. It was also the second time London hosted the worldwide gathering, the most recent hosting gig until today. After the Academy Awards, the Olympics are my favorite television spectacle. Maybe it’s the fact it only happens every two years. Maybe it’s because it switches from sun to snow each time around. But mostly I think it has something to do with the most elite athletes on the face of the earth gathering to compete in their specialized sport. Emotions run high. I know this because I watched NBC’s top 30 greatest moments special Saturday and cried tears of joy over about 93 percent of the selections. When someone wins — especially if their story is a particularly moving one — you feel like you have won. I can’t wait to cheer on Team USA. And watch Ryan Lochte, since he managed to do this at the Olympic trials. I am very much looking forward to seeing the 16-year-old flying squirrel fight for the women’s all-around gymnast title. To kick it all off, and since I work tonight and do not have a DVR, I will catch the rerun of the opening ceremonies at 1:30 a.m. For those of you keeping score, I love the Olympics so much, I will be staying up until 4 a.m. just to watch the start of the festivities! I’m on a new-songs-from-old-bands kick. I was in love with Rob Thomas my senior year in high school, and I bought his first solo album with euros. So of course I’m over the moon that the band is writing new tunes! The new album, “North,” releases Sept. 4. I also just saw Thomas is mentoring with CeeLo Green on Season 3 of “The Voice.” Ahh! Photographic proof. I don’t have cable and “Top Chef Masters” started Wednesday. Thus my stumbling upon this show starring an ex-Top Chef contestant. Molecular gastronomy chef Marcel Vigneron was a big ball of crazy on “Top Chef” Season 2, as seen in this mildly funny, fan-made rap video. He’s still crazy on this show, which aired six episodes on Syfy in 2011. It’s easier to watch Marcel on “Quantum Kitchen” because he is in his own element, making his style of food with a couple of his friends. The premise is Marcel runs a catering company, so there are clients and party planners with whom to deal, equaling a bit o’ drama. But the real drama happens in the kitchen when Marcel and Co. test the wacky dishes two days before events. Spoiler alert: Everything always works out in the end and the dishes are magical creations everyone loves. You already know I love Kimbra. She’s my new favorite artist, and her debut album is the best of the year (so far). My littlest sister and I are going to see her and Gotye in concert come October. Until then I will play her record on repeat and download this remix. For free! On a side note, if you haven’t voted in my “I Quit Sugar” giveaway poll, hop over and give your input! I’ll be gifting one lucky commenter with something wondrous in an upcoming post, but first I need your help deciding what to give you! Obsession of the week: My new prescription sunglasses. I was finally allowed to visit my optometrist last week (thank you, health insurance!). Thankfully my eyes have hardly changed, so I was able to forgo the purchase of new eyeglass lenses and invested in a pair of sunglasses. Prescription lenses are ridiculously pricey for a pair of shades (no thank you, health insurance), so thank goodness I had a $100 off a lens and frame purchase coupon from Lenscrafters. I am so glad I can protect my eyes from the summer sun. I even got to sport my newest fashion accessory at our company picnic Wednesday. Video stream of the week: “Pretty Little Liars” on Netflix Instant. Season 3 of this addictive ABC Family series began June 5, and Netflix is currently streaming the 22 episodes in Season 1. On July 3, Season 2 will be available. I hear the Rosewood girls find out who A is in Season 2! Music stream of the week: “The Lion The Beast The Beat” by Grace Potter and the Nocturnals. I snatched up the album for $5 as Amazon’s daily deal Tuesday, but it’s worth the $10 it’s currently selling for on Amazon. Viral video of the week: “Call Me Maybe” starring Jimmy Fallon, Carly Rae Jepsen and The Roots. The 22-year-old New Zealander first caught my ear in her featured role on Gotye’s massive hit “Somebody That I Used To Know.” She released her debut album stateside May 22 and it is stellar. Ease into her vibe by listening to “Warrior” featuring DJ A-Trak and Mark Foster (of Foster the People) or dive right into “Come Into My Head,” a song Katy Perry or Britney Spears would sing if they were sophisticated. 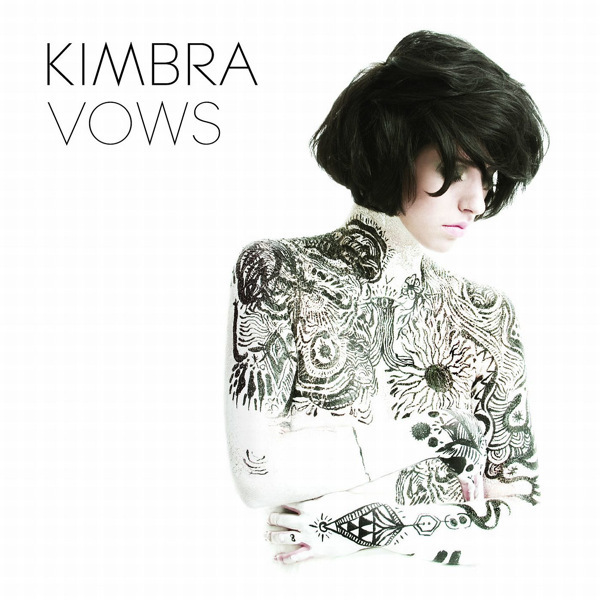 Buy “Vows” on Amazon for $6! The first track, “Settle Down” is free for a limited time. Video of the week: Yahoo!’s “Burning Love” Web series. I am four episodes into my inaugural season of “The Bachelorette,” so this smart parody series is a perfect companion piece. Everyone is spot on in making fun of the quirkiest parts of the long-running ABC series. Watch for a mini “Party Down” reunion in Episode 3. 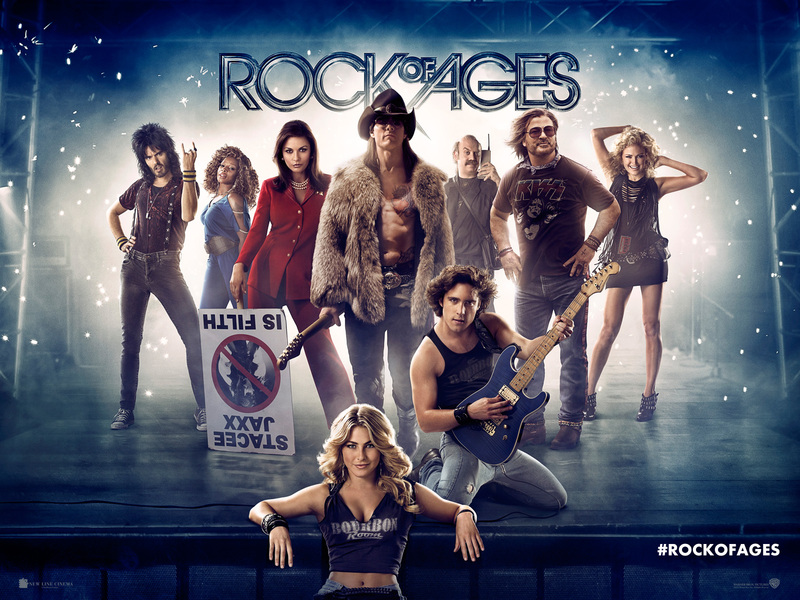 Music stream of the week: “Rock of Ages: Original Motion Picture Soundtrack”. After seeing the traveling Broadway version of this kooky show in November 2011, I am stoked to see the film when it’s released June 15. Before then, take a listen to several great actors take on some rockin’ ’80s tunes. Controversy of the week: “America’s Got Talent” and the singing, possibly injured veteran. Looks like NBC’s show with the bad grammar title is in a bit of hot water after contestant Timothy Poe claimed he was injured by a grenade while fighting overseas in the military, said he speaks with a stutter and performed a moving rendition of Garth Brooks’ “If Tomorrow Never Comes.” The singing wasn’t the best, but the story leading up to the reveal of Poe’s voice was what gave the performance the emotional punch. America and the show’s producers are now learning most of Poe’s story (namely the injury/stutter part) might be false.